There's more LEGO Star Wars goodness with a new game coming later in 2019. Hey, Star Wars fans! Looks like there's going to be another exciting Star Wars prospect this year – you know, aside from the new movie and game and all. There's a new LEGO Star Wars game coming down the line later this year, as announced during The Star Wars Celebration stream seen in the tweet below. "I can't believe so many things we're doing right now," said Skywalker Sound's Matt Wood. "There's a LEGO Star Wars game we're working on," he said in the clip, but didn't elaborate on what kind of game it might be. It could potentially be something related to Star Wars Episode IX: The Rise of Skywalker, but we have no real clues to go on just yet. Warner Bros., the publisher behind the series, hasn't announced anything just yet, but we may as well take Wood's word as fact – he's working for the Disney-owned company behind Star Wars that works on the franchise's audio, after all. There have been LEGO adaptations of several of the Star Wars films, including the original trilogy, prequel trilogy, Clone Wars, and The Force Awakens. Now, there are two left that need to be covered: The Last Jedi and The Rise of Skywalker. Apparently, rumor has it that the project would tell a story including the entire Star Wars saga, and it's being described as the "ultimate" LEGO Star Wars game, according to Eurogamer. We don't have a lot to go on just yet, but it'll be intriguing to see what the reveal is when it happens. Hopefully Warner Bros. has something to share to that end soon. 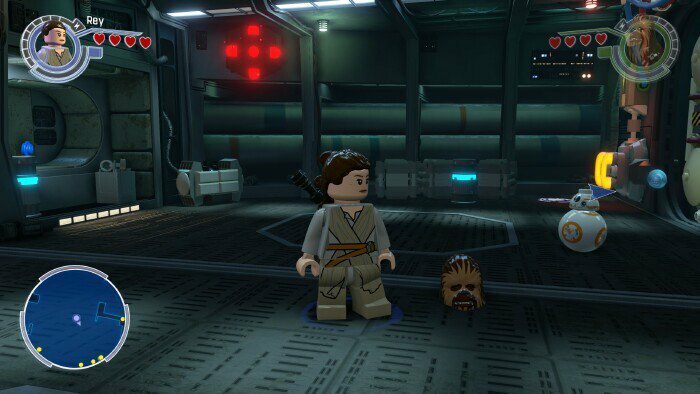 In the meantime, what are some of your favorite LEGO Star Wars installments? Let us know in the comments below.